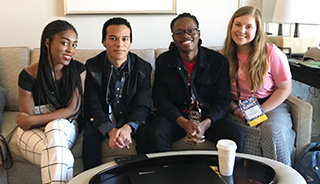 Eleven Charlotte-Mecklenburg Schools students in the career and technical education marketing program participated in the Adobe Summit, a worldwide event for digital marketers and advertisers. This year, for the first time, organizers permitted a small group of students under 21 to attend. Four seniors from CMS traveled to Las Vegas and six others participated virtually from Charlotte. 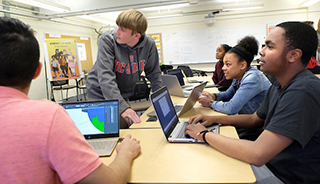 Through the partnership between CMS and Sports Media Challenge, a reputation management company and social media-consulting firm, the students created a WeRGenZ team to inform industry leaders about the power and influence their generation offers. With an estimated $44 billion in purchasing power and influence over another $600 billion, Gen Z’s presence on social media is changing the advertising and retail landscapes. The program teaches students about the latest marketing, technology and advertising practices. 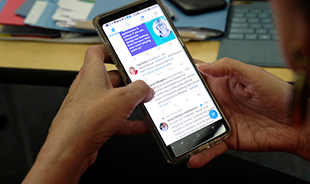 Participation in the Adobe Summit was intended to teach students how to actively listen to experts and speak to them via social media and in-person, while informing them and others of their economic impact. The three-day summit offers sessions and labs on latest strategies for building campaigns, managing advertising and gaining data insights. Participants can choose from more than 250 sessions and hands-on labs across seven tracks. In Charlotte, students at the command center contributed to the social media conversations and watched live streams from the event. They also Facetimed with their peers at the summit to exchange information and ideas. Trent Couse, a junior at William A. Hough High, is the data analytics intern for the WeRGenZ team. He and the other students periodically reviewed their posts’ analytics to figure out which ones had the most reach, the number of people who see the content; impressions, the number of times the content is displayed; and engagement, the number of interactions people have with the content such as likes, comments, shares or retweets. To read the students’ profiles, daily event diaries or to see pictures, click here.